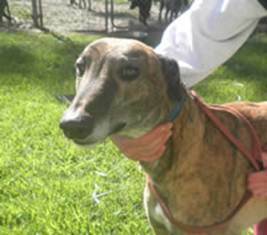 Jeffrey is STILL waiting for a home – can you help this gorgeous boy?? Check out http://www.greyhoundangels.com/available.html for more greyhounds waiting for their fur-ever homes. Great news – happy to report that Dexter has been adopted! What a wonderful way to finish the year. Jeffrey is still waiting for his furever home though – can anyone provide a loving home for this gorgeous dog?? If so, please contact Greyhound Angels. 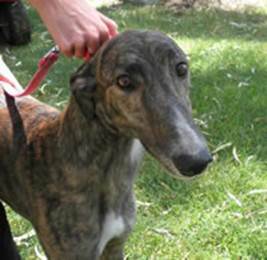 This call for help comes from Greyhound Angels – who rescue Greyhounds that are being disposed of by the racing industry. Please help these beautiful dogs, who deserve to be given a second chance. Desperately in need of foster homes! One for Jeffrey and one for Dexter! Jeffrey is fine here, but he spends a lot of time by himself and that’s okay short term but not long term! Jeffrey passed his small dog test but my old dog is blind and doesn’t run around, so he may not react the same with a small and active dog. He would be fine as an only dog, if that’s what you are after or with a female of medium to large breed who is also laid back. He has been great with my kids aged 3, 4 and 9. He is a large Greyhound, and is strong. Would be a great ‘mans’ dog. Dexter’s carer is away, Dexter has gotten along with other dogs but met a whippet today who was scared and ran around and he wanted to chase her (most likely in play) but was a bit too much for the poor little girl! We don’t want to put Dexter in kennels, one because of the cost and two because he’s been in a home environment for quite a few months now! Can’t foster? Spread the word for our dogs needing homes, there are so many lovely dogs that would suit most families and an adopted dog free’s up a foster home! All vet work included, and fee of $250 is negotiable to the right homes! 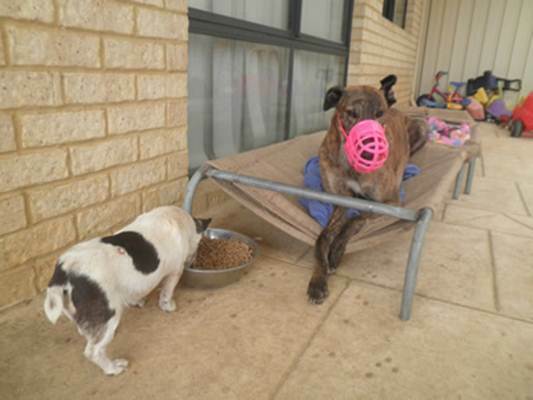 South West Animal Rescue (Bunbury and surrounds).